For no particular reason (Ben “I’ll-stab-you-in-the-gut-and-fill-your-wound-with-grain” Carson) I was thinking about the seven wonders of the world recently and wondering if, like the purpose of the pyramids, we may have misinterpreted the purpose of some of these other amazing structures, etc that leave us all in awe after we Google them to find out exactly what they are. 1. 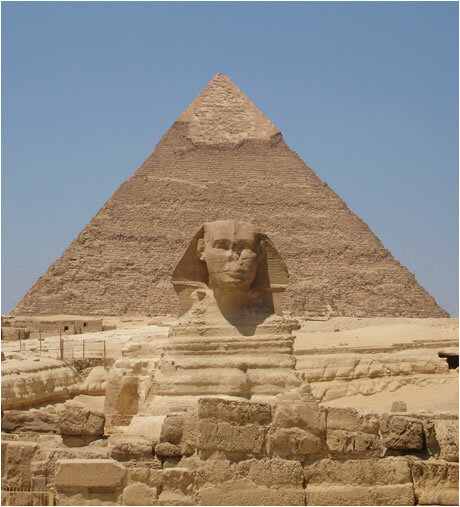 Great Pyramid of Giza – While Ben “I’ll-punch-my-mother-again-if-you-don’t-vote-for-me” Carson believes the pyramids were built to store grain and most historians believe they were built as an excuse to give Brendan Fraser one more chance to prove he couldn’t act, they are both wrong. The true nature of the great pyramid is actually that of a litter box. The giant Sphinx had to go somewhere and it makes perfect sense that the pyramid is nothing but an accumulation of sand that the Sphinx has kicked over its ever-growing pile of whatnot. While this theory may seem far-fetched we only have to look at Donald Trump’s head to see that the same phenomenon continues to occur to this day. 2. The Colosseum in Rome – It is widely believed that the Colosseum was built by the Romans over an eight year period in the early AD’s (Actually Dunno) and was used for gladiator fights, executions and Roman Idol singing contests. The truth, however, is much more interesting. In the latter part of year 72 a young Jerry Jones purchased a much-beloved football franchise called the Rome Butteros and proceeded to fire their one and only coach, Vince Lombardi, whom everybody loved and began to build a team that would never live up to its hype. In order to distract the Butteros’s fans from noticing the horrid state of their beloved team, Monsieur Jones, built a state-of-the-art stadium that left all in awe who saw it, even when Tony Romo the Bad, threw yet another interception. Unfortunately, Mister Jones continues his quest of destroying beloved football teams while distracting the masses with massive stadiums; including Donald Trump’s hair. 3. The Great Wall of China – Once again the view of Ben “I-AM-WEST-POINT” Carson and those of leading historians are both wrong when it come to why the Great Wall of China was built. While Carson believes that wall was built-in order to prevent his “inaccuracies” about himself escaping out to the rest of the world and historians believe it was built to prevent Carson’s “inaccuracies” from coming into China, the truth is much more interesting. The Great Wall of China built some time in, presumably, China, was actually built by avid skateboarders who, after several dozen cases of Red Bull, built themselves a killer skateboard ramp where they wouldn’t be shoo’d away from by local monks, Kahns and samurai. The same phenomena continues today in the form of Donald Trump’s hair. 4. Stonehenge – A believed to be structure that allowed the ancient people of England keep track of the movements of the stars, planets and seasons, Stonehenge was built sometime between 3000 and 2000 B.C. (Ben Carson) and remains one of the most visited places in the world outside of the internet. This massive structure was the most difficult of all of the seven wonders to figure out but, as expected, I managed to sort out the truth: it was the first Lego set. Built by an ambitious and unusually strong child, this Lego set was all the rage during the holiday season during that millennium and caused no fewer than 3,652 deaths and 100,237 back injuries during Walmart’s Black Friday sales, the remains of which have been discovered buried within the ares of this last known existence of Lego’s first set. After 1,000 years of protesting by the Druids, the Lego Corporation discontinued this life-size set and began making sets that were much smaller. Nobody knows the name of the child that built the set that still, for the most part, stands, but we do know that the set remained in a pristine and complete state until Ben Carson lost his well-known (to himself anyway) temper and broke most of it apart. Jerk. 5. 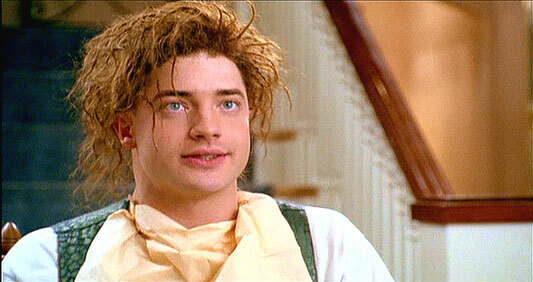 Brendan Fraser’s Acting Career – It defies explanation but, not surprisingly, Ben “I will lie about stabbing anyone who says they don’t like Bedazzled” Carson lists Frazer’s acting career as his number one inspiration for his presidential run. 6. Machu Picchu – Recently voted as one of the New Seven Wonders of the World, Machu Picchu (loosely translated as “Machu Picchu”) is a city built on a mountain ridge approximately 215,345 miles above sea-level. Historians believe that the Incas built the city so high up the mountain because the Chief’s wife, “really liked the view”. This is much closer to the truth than Ben Carson’s theory that Machu Picchu was built at such a precipitous location in order for the Incas to more easily catch turkeys for their Thanksgivings dinner. The reality is that Machu Picchu was built on a ridge at such an elevation not by the Incas but by a young-ish Donald Trump who was attempting to build something higher than those who actually think he might be elected as President of a country some 500+ years in the future. As evidenced by the Trump Tower and Trump’s Taj Mahal Casino, The Don is still trying to figure out high his supporters actually are. 7. The Lighthouse of Alexandria – One of the ancient wonders of the world, the Lighthouse of Alexandria was one of the tallest man-made structures before it was destroyed by – you guessed it – Ben Carson’s temper. When asked why he destroyed the lighthouse, Carson explained that he had an anger problem when he was young and that, out of protest, he tore down the lighthouse due to the fact that he preferred Wishbone Ranch dressing and that, “They shouldn’t have stored so much of that lesser ranch dressing in that building anyway.” For once, the historians and myself agree, nice work Ben. 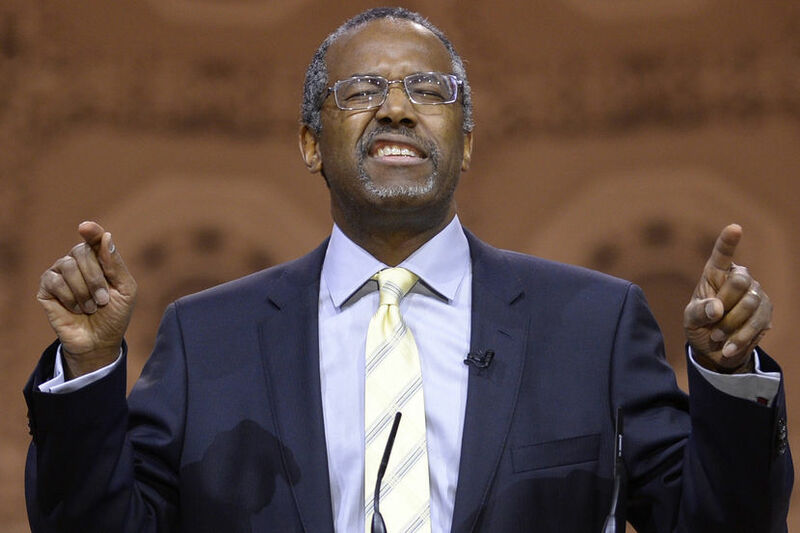 This post was approved by Ben “My-candidacy-will-self-destruct-in-ten-seconds” Carson.